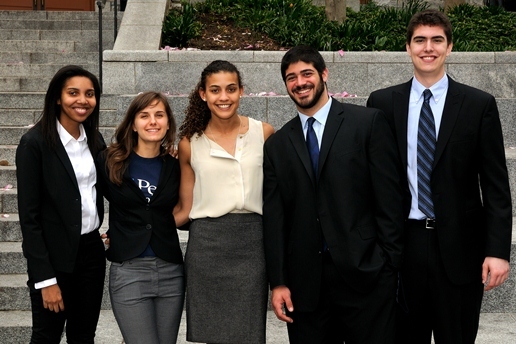 A team of five mechanical engineering seniors, in collaboration with the Modular Robotics Laboratory and under the guidance of Dr. Mark Yim, have designed a search and rescue research platform intended to address limitations of current search and rescue robots and introduce a novel form factor and integration technique into the field. The system of three robots is known as H.E.R.A.L.D: The Hybrid Exploration Robot for Air and Land Deployment, and will be used on an ongoing basis for research purposes. Here, we detail the motivation, design, and testing results of the robot, as well as future work. Many exploration, rescue and mapping applications occur in situations without the air flow or trajectory space for quadrotors, involve chemicals or tasks too dangerous for human beings, and require novel form factors to fit through small spaces and climb over complicated obstacles. These situations include finding injured humans in rubble, or locating explosives in hazardous terrain, among others. The iRobot Packbot is a common commercial exploration robot. Existing exploration robots are large, heavy, and constrained to the ground. These form factors allow for massive computational power, but are not effective for victim location in disaster scenarios. The weight may crush victims beneath rubble or trigger hidden IEDs, and the size and ground constraints inhibit maneuverability through collapsed buildings. Alternatively, quadrotors are restricted to open spaces with abundant air flow and cannot identify victims beneath rubble. 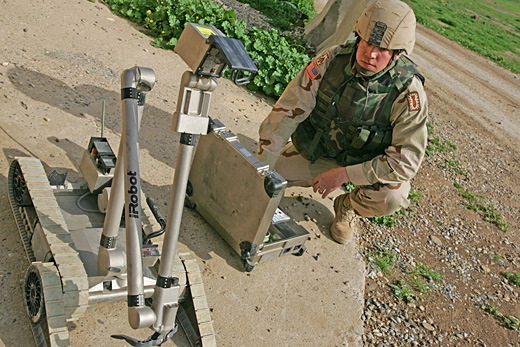 The requirements for an exploratory mapping robot with search and rescue capability are related to sensing and maneuverability. The robot needs to be able to traverse uneven and unstable terrain, avoid damaging obstacles and fit through narrow spaces. Additionally, it needs to be able to communicate information with the handler. Given the desired application, it will also need to be light enough both so a human being can carry it and also so it can traverse piles of rubble without harming any victims underneath. It needs to be fast enough to locate human beings quickly enough in a disaster to save lives. Finally, it needs to safe to human beings or animals that it may be locating (i.e. it cannot have any bio-toxic elements or hazardous components). The H.E.R.A.L.D. system meets these requirements by combining two very different form factors: a quadrotor and a light-weight, nimble snake. The snake robot is designed to maneuver both over and through rubble, while the quadrotor provides aerial surveillance. The novel integration of these form factors, using two snake robots and one quadrotor, allows for increased maneuverability and operational lifetime. Quadrotors have notoriously short battery life. The H.E.R.A.L.D. system allows for the quadrotor to be carried by two snakes while not in use, providing increased battery life without sacrificing mobility. In addition, snake robots alone are constrained to the ground. The H.E.R.A.L.D. quadrotor is capable of carrying a single snake, so that these robots may be transported to previously unreachable locations. 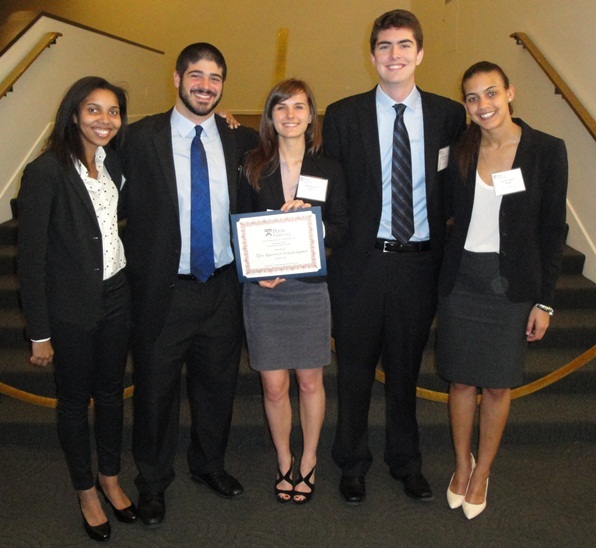 The design effort for H.E.R.A.L.D was split into five main categories, with each category managed by a single team member: Snake (Anthony Stroffolino), Electronics (Gabrielle Merritt), Software (Mike Kofron), Quadrotor (Stella Latscha) and Docking and Integration (Lauren Davis) . The design and testing of each subsystem is detailed below. To achieve a high degree of maneuverability, the snake was designed with seven degrees of freedom: two vertically actuated (pitch) servos, two horizontally actuated (yaw) servos, and three drive motors. These motors are incorporated into a mainly 3D-printed design that aims to optimize structural integrity while minimizing weight. Integrated treads on the wheel rims prevent excessive slip and provide edge-catching capability for obstacle clearance. 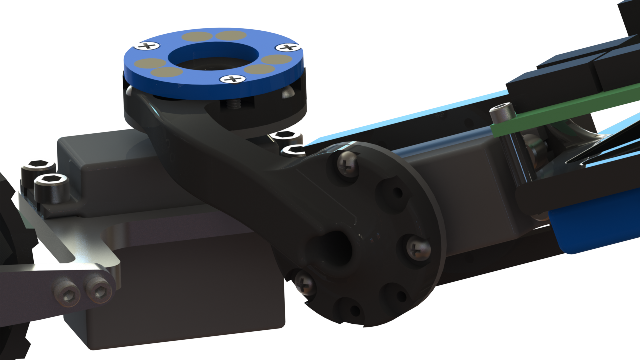 The servo coupling arm acts as a bracket between the two steering actuators while providing a docking interface between the snake and quadrotor. A custom-made PCB, designed in Eagle, commands the snake using an Arduino Micro and communicates to the user wirelessly via XBee radio. Due to the unique form factor of our snake, we needed to custom make our own Motor and servo driving circuit. After multiple breadboard iterations we decided to design our own PCB in order to integrate electronics effectively in the snake robot. In order to properly actuate our system the servos drew more current than they are rated for; therefore, we made a voltage regulation board in order to limit the current to each servo motor. On each snake robot, we have an Arduino microcontroller running custom-written software in C++. This low-level embedded software takes motor commands from a serial packet and outputs to the snake’s motors. It is independent of the number of motors and servos on the snake, so that it can be used for snakes with any number of segments. Sending the packet commands to the Arduino is a laptop running MATLAB. 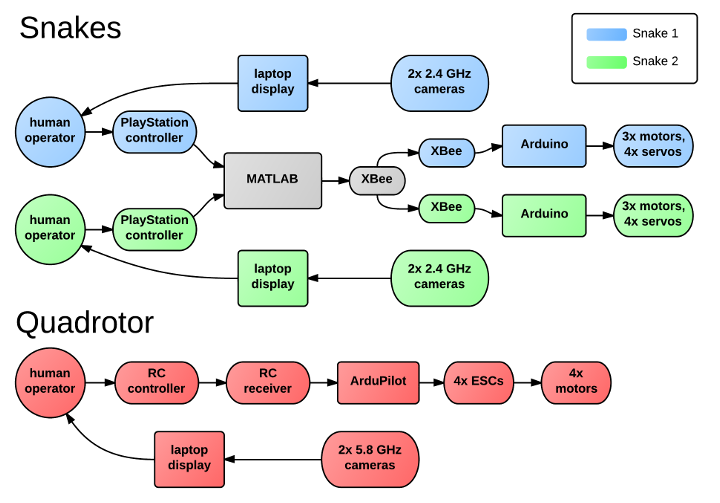 The MATLAB software takes user input from two video game controllers using an open-source library called JoyMEX. It also keeps track of two main operating modes, one in which the two snakes are controlled independently, using a controllers for each, and another for tank mode, in which both are managed from a single controller. On the quadrotor is an ArduPilot, an open-source board from Arduino, which runs open-source software from DIY Drones called ArduCopter. It is, in essence, a black box, allowing us to alter just a few controller gains. In order to meet the above requirements and fit within a budget less than $1000, the quadrotor frame was entirely custom made. The hub and motor mounts were designed using finite element analysis to take into account the high forces and moments resulting from providing enough thrust to carry one of the snakes. 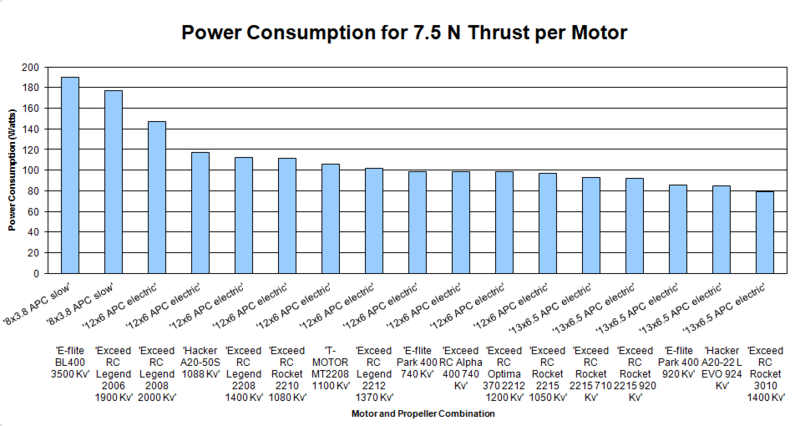 An exhaustive list of motors and propellers, including many that our team tested and added to the ModLab database, were run through characterization functions written by Matthew Piccoli in order to select the most efficient combination for the quadrotor (the lowest power consumption combination in the figure to the right). Rotor spacing tests using this combination showed that the minimum tip-to-tip spacing between rotors to prevent interference is ~5 inches. The default ArduPilot gains were designed for quadrotors with much lower weights and thrusts and were thus far too high for us, resulting in instability. Drastically lowering the gains allowed for stable control of the quadrotor. The quadrotor and the snakes are integrated using a series of magnetic docking faces. This passive, lightweight, and inexpensive system utilizes the high carrying strength and shear weakness of magnets, which is further increased by the alternating north south configuration. The system was designed to minimize added weight to the quadrotor. The center docking faces, which carry a snake, can nominally hold 12.5 kg, but only require 5.5 kg-cm of torque from the snake to undock– significantly less than the 17 kg-cm the servos are capable of. The outer faces, which are designed to maintain contact between the snakes and the quadrotor during “tank mode”, should hold about 9 kg and require 44 kg-cm of torque. At about 1.5” away the snake snaps into place. From this position they can actuate as needed and the snake simply needs to turn its horizontal servos and the magnets will disengage. In conclusion, we were able to show functionality of the robot in each of the three main modes: separated mode, tank mode and carry mode. These three modes can be seen in the video to the right. Team H.E.R.A.L.D. with the 3rd Place Award from the University of Pennsylvania’s School of Engineering and Applied Science Senior Design Competition. the Printable Programmable Robot quadrotor controller. the snakes from the quadrotor cameras and dock from the air. controllers and laser scanners to map terrain. onto the snakes in order to pinpoint a human victim in a room. May 05, 2013 | Filed under Flying Devices, Search and Rescue, Uncategorized and tagged with Latscha.